Castillo Music Studio - Review our music studio calendar, resources, policies and expectations all in one place! Review our music studio calendar, resources, policies and expectations all in one place! All students may enter through backyard gate to the right of our home and sun-room sliding doors. Please exit in the same manner. Should parents pick-up, we ask that they enter the same way. Students please sit quietly in chairs in studio area. Remember lessons are in progress. Please use your manners. Parents, it is preferred that you drop your student off. Parent observation of lesson is by appointment only. We will only send students out knowing that your car is here. Your child’s safety comes first. Parents, please pick-up students on time as we have many students coming and going. Should you need to talk to Jaime or Valerie, please send a note or call or e-mail anytime. What you have to say is important to us. Students need to come prepared to lesson having practiced the appropriate amount of time with books, pencil, assignment book, and count their own sticker points towards the reward basket. Students may spend, save, or partially spend reward sticker points at the basket near the front door. Remember, your student will only grow musically with lessons as they practice. Please encourage this as you are investing much time and money into their musical future. Lastly, please review this information with your student. We strive to provide a professional and safe environment for all of our students. If you are interested in starting music lessons with Castillo Music Studio, review the lesson schedule below to see our availability! 4, 5, 6, 10 (Monday students)– September studio tuition due with 1st of 3 annual recital and activities recital fee installment ($25) . 4, 5, 6, 10 - Perform for Your Parent Week! Parents come in last 10 minutes of lesson to hear what your student has been practicing, goal setting, review and sign 2017-18 Policies and Calendar. 22, 23, 24, 25 - Wear A Costume to Music Lessons Week! Costume, silly socks, hat, glasses. 10, 11, 12, 13 - Candy Cane Week! 8, 9, 10, 11 – January studio tuition due. Please note new tuition fee: $120. 28, 29, 30, 31 - Hot Cocoa Week! 4, 5, 6, 7 - Mad Hatter Week! Wear a crazy hat to music lessons! 13, 14, 15, 16 - Frozen Treat Week! Castillo Family Annual Vacation Week (June, July or August), studio closed. Date t.b.a. 17, 18, 19, 20 - Your Future's So Bright You've Gotta Wear Shades Week! Wear your sunglasses, flip-flops and Hawaiian shirts to lessons and celebrate the 1st Week of Summer! Wear Red, White & Blue anytime this month to lessons to say, "Happy birthday, America!" Summer Family Backyard Party & Concert 2018- Castillo's backyard September t.b.a. Performance is our number one goal at our studio. 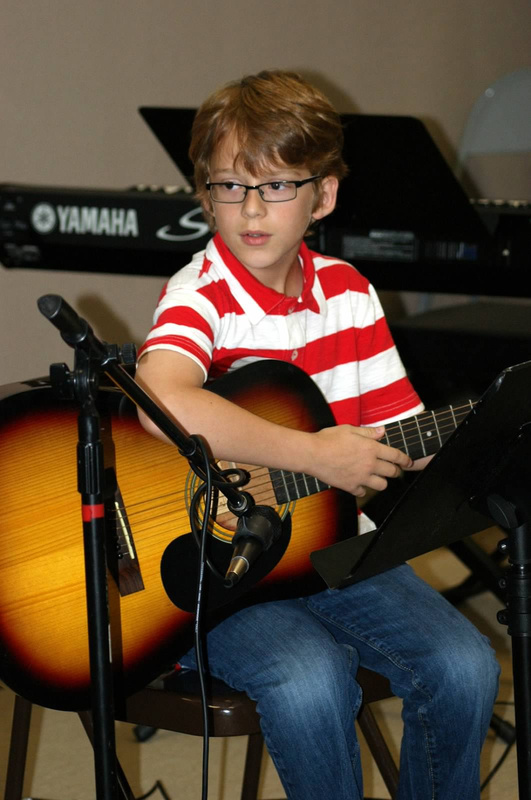 Students attend private lessons, practice, and increase their musical knowledge and genres to perform for an audience. We provide three different types of performances to give our students a variety of performance experiences. 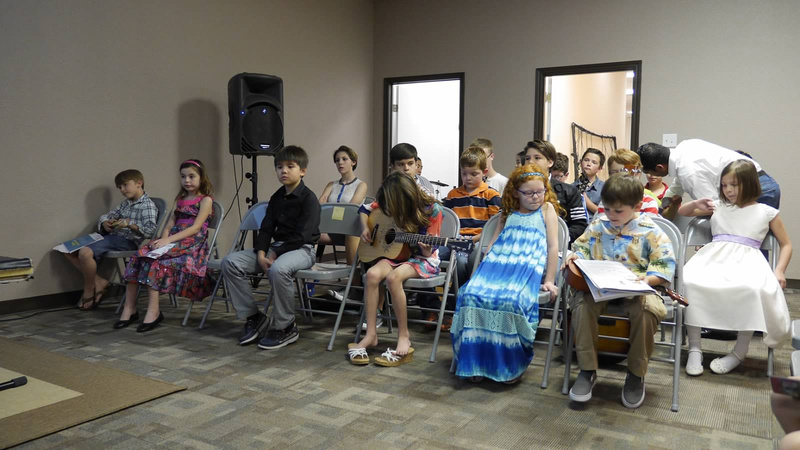 Spring Recital - This is our formal indoor performance at a venue with a stage and formal seating where students showcase their musical pieces studied during the spring semester. Professional photography, awards, door prizes, and reception make this a special event to remember. Summer Recital - An end of summer outdoor venue celebrates summer student's solo pieces and Rock Band Camp sessions ensembles. Bring a lawn chair, cooler, and snacks to share! Fall/Winter Recital - Both students and families love this end of year intimate, private recital in our studio demonstrating fall semester solos including holiday and Christmas music. A musical performance is a SHARING between the performer and audience. We have worked greatly with our students to teach proper performance etiquette as performers for you, your family and guests. 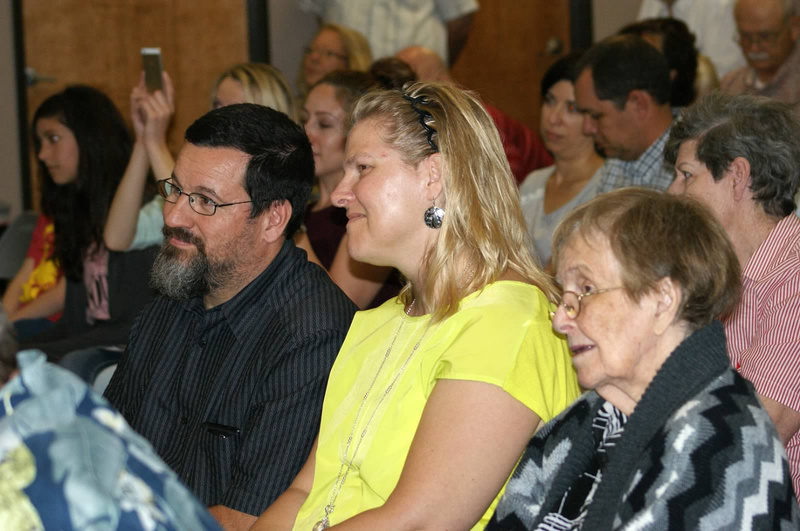 We ask that the audience demonstrates respect for our performers, too! Prior to performance, remain outside the recital room during warm-up time. Stay for the entire recital! Each student deserves a full audience. Take all calls in the hall outside of the recital room. Be mindful of our photographer's space. Wait until between performances to enter and exit recital room. Keep movement in and out of the recital room to a minimum. Once you've read the Studio Policies, Download them from our Forms Page, sign them and email us to make your student's registration official! Learning guitar, ukulele, piano, and voice can enrich your child's life and improve their learning capabilities. Invest in your child's future and sign them us for private music lessons at Castillo Music Studio today! Lessons - Student will receive 30 minute lessons weekly, January - December, following the studio calendar. Start-up Fees – The Start-up Registration Fee is $50 and is used for preparation, supplies and administrative work and is non-refundable. This fee is applicable for new and returning students who drop lessons for a period of time starting at a later date and may also be used to reserve time-slot one month in advance. NSF checks - Returned check fee is $25 plus late fee, $15, with payment in cash. Make-ups - There are no make-up lessons. As there are several 4 and 5 week months there are occasional “extra” lessons. If the student maintains good attendance, consider the longer months having "free" lessons. If one lesson is missed, they can get “make-up” lessons with the longer months. Monthly tuition will not be reduced due to missed lessons. So, students are rewarded with those “extra” lessons with good attendance. Termination - A 30-day written notice IS REQUIRED to terminate lessons anytime of the year including after performances and summer months in order to avoid paying one-month tuition and provide adequate time for the studio to fill the time-slot. If notice is given less than 30-days, the one month tuition is STILL REQUIRED by the due date. Students who miss consistently for a brief period of time (i.e. sports, dance, church activities or summer session) may pay full tuition to save their time slot. If the student terminates or “drops out” for some time, the slot will not be held. Teacher Cancellation - We will provide make-ups for any lessons that we cancel. We will contact you for a make-up lesson. If the student misses the make-up, we will not be able to reschedule. Summer Vacations - During the summer, we DO offer limited make-up lessons for missed lessons due to summer vacations, camps, etc. Annual Performance and Activity Fee - Students are required to participate in two performances during the year, April and December, as performance is one of our most important goals and measurement of musical growth. The Annual Performance and Activity Fee required for all students, regardless of start date, is $75 in three-payment installment plan of $25/month, September-November. New students joining before or after the Sept. – Nov. period will pay the fee in full at their first lesson. This fee is non-refundable. 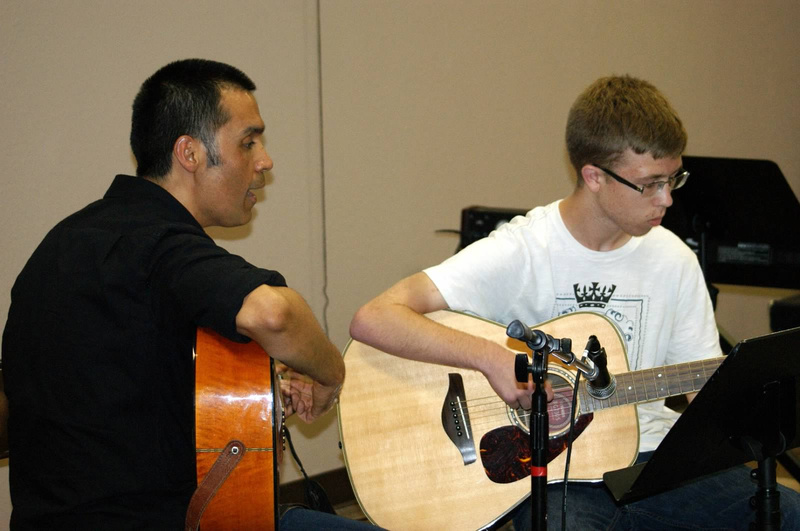 Practicing - Students are required to practice 20-30 minutes, beginners, and 30-60 minutes, intermediate and advanced, at least 5 days per week for maintaining and building musical skill, bring required material, and document practice times. We encourage parents to promote these practice behaviors with students in order to obtain the most out of your music education investment. Absence – Consistent attendance is greatly encouraged. However, please call or text (512) 310-7497 or (512) 627-6798 at least 24 hours prior to absence. A $10 fee will apply for absences not communicated at least 24 hours in advance or no-shows. In case of illness, please follow the schools’ rule of 24-hours fever-free. If your child missed school for illness the day of their lesson, please DO NOT send them to the studio. Studio Events - 2018-2019 Calendar of Events –See this on the website or as e-mail attachment and check regularly for updates. Student Photography Permission - We take photos of events and our students integrating them into our studio website. Student's full name will not be published on site. Please let us know in writing your approval or non-approval of publishing your student’s photos on our website. 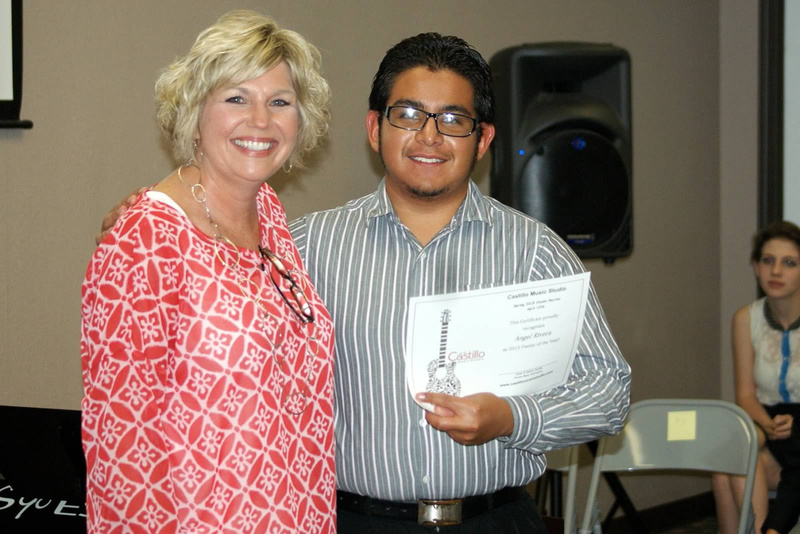 Are you a current student or parent that loves your Castillo Music Studio Experience? Are you new to us and have some questions before you enroll? Submit a review or ask us your questions below!